If you are interested in motor sport medicine, science, and education, the ICMS Annual Congress offers something for everyone. Join us to and you will discover firsthand how today’s research will improve tomorrow’s practice in motorsports. Whether you’re looking for the latest information in the field or exploring opportunities to learn from the experts, the curriculum of the ICMS Annual Congress offers continuing education opportunities that are unsurpassed in motor sport. You can mingle with your motor sport colleagues, connect with the resources and tools that make a difference in professional development, and interact directly with the speakers in your area of expertise at the ICMS Annual Congress. Participating in the ICMS Annual Congress will expose you to different points of view and new ways of thinking. The Annual Congress, enhances the learning of new techniques and specific tips for applying them while strengthening your knowledge base of all motor sport sciences. The ICMS ANNUAL CONGRESS will be held Wednesday & Thursday December 11-12, 2019 at the Indiana Convention Center in Indianapolis, Indiana. 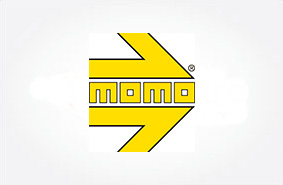 The goal of the Annual Congress is to inform the international motorsport community, the different scientific and medical disciplines, sanctioning body personnel, automobile designers and constructors, race team managers and drivers, and industry corporations interested in improving safety and performance for the motorsport participant and the highway motorist. presented by the most experienced and knowledgeable practitioners from around the globe. ICMS members have been instrumental in the creation of many of the life saving procedures and products used today in all forms of motorsport worldwide. Whether you’re looking for the latest information in the field or exploring opportunities to learn from the experts, the curriculum of the ICMS Annual Congress offers continuing education opportunities that are unsurpassed in motor sport. Click here to download additional information on the Conference. Click here to register for the ICMS Annual Congress. 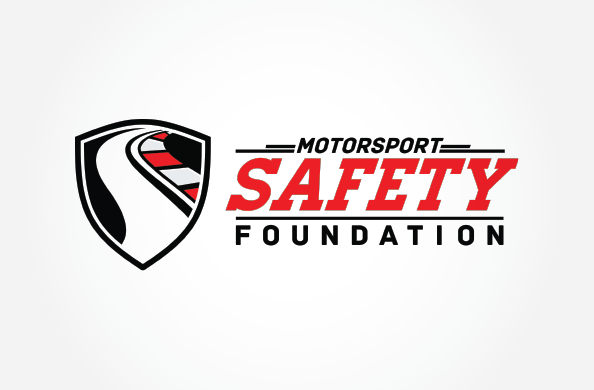 Friday, December 13, 2019 will mark the fourth annual RACE TRACK SAFETY PROGRAM (RTSP) presented in conjunction with the Annual Congress of the International Council of Motorsport Sciences (ICMS). This event will take place during the Performance Racing Industry (PRI) Trade Show at the Dallara IndyCar Factory located just 5 miles West of downtown Indianapolis and less than ½ mile from the famous Indianapolis Motor Speedway. The one-day seminar will consist of educational sessions as well as hands-on practical sessions and demonstrations geared especially for local short tracks, road courses, and drag strips around the United States, Canada and Mexico. 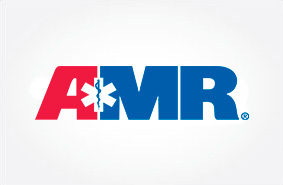 Small race track operations personnel, especially Emergency Medical Services and Fire & Rescue team members, will learn the most efficient and the safest procedures of responding to race track incidents from experts in the field. Click here to registration for the ICMS 2018 Race Track Safety Program (RTSP). The following list outlines the location, year and the summation of each ICMS Annual General Meeting from the current year to our inception in 1988. Click each date to view a synopsis of the event. The 30th Annual Congress again set conference attendance records as one of the largest two-day events in the ICMS’s thirty-year history. This was also the fourth year for the Race Track Safety Program (RTSP), which included many unique rescue and safety experiences. The first Scientific Session focused on the development of new techniques of concussion diagnosis, what to do regarding a fatality on the race track and the value of utilizing 3D printing in motor sport science and education. The afternoon session began with the Annual Congress Panel Discussion outlining liability risks and insurance coverage for motorsports medical and safety personnel, followed with facility liability and the sustainability of motors and concluded with the physiological response differences in competitive motorsport between professional and amateur race car drivers. Thursday's program started with the very popular PRI Breakfast featuring motorsports legends Al Unser, Sr. and Al Unser, Jr. interviewed by MAVTV’s racing journalist Dave Despain. The opening lecture set the stage for the mornings theme of how to design a safer race track with considerations regarding barriers and debris fencing followed with the evolution of the SAFER Barrier which set the new standard for track barriers. After the break the discussion once again turned to barriers and the mechanical considerations for energy management that is required when selecting debris fencing for new race track installation. The Dan Marisi Memorial Lecture featured former driver David Green outlining the pathway from problems to solutions in NASCAR crashes followed by John Patalak’s presentation on driver position and seat design on thoracolumbar loading during frontal impacts. Scientific Session Four outlined potential injury with the use of a too stiff head rest in DTM and updates from the FIA Global Institute for Motor Sport Safety and Auto + Medical Journal magazine. Friday morning, the RTSP embarked at the Dallara IndyCar Factory located a few blocks for the Indianapolis Motor Speedway where the speakers delivered updates on best practices in C-spine management under simulation conditions and respiratory protection for motorsports safety personnel. Also covered in the morning didactic sessions were the advances in rescue tools/techniques and the implications for rescuers working with electric race vehicles. The Lunch with Our Guest Speaker featured the NHRA’s Matt Hagan discussing safety procedures for drag racing drivers. The Practical Training sessions in the afternoon included hands-on participation utilizing the most efficient equipment available today, medical center challenges, difficult extrication procedures, rollover-controlled movement and 'live' fire suppression in the outdoor portion of the program. The 29th Annual Congress once again set recent conference attendance records as one of the largest two-day events in ICMS history. This was also the third year for the Race Track Safety Program (RTSP), which included a number of outstanding outdoor safety experiences. The first Scientific Session focused on additional safety procedures in open cockpit cars, the latest updates in circuit catch fencing for drivers, track workers and spectators, the development of accredited training for motorsport medics and race resource management and simulation. The afternoon session outlined recent research in driver physiology, discussions of concussion caused by improper design of driver compartment safety devices, safety updates from the world of power boat racing and an in-depth review of situational sensitivity and crisis management in motorsport. Thursday's program began with the very popular PRI Breakfast featuring superstar team owner Chip Ganassi interviewed by racing journalist Dave Despain. The opening lecture was the annual update from the FIA and AUTO+ Medical journal by Paul Trafford followed by FIA anti-doping case studies presented by Sandra Camargo the Head of Medical Affairs for the FIA. The Dan Marisi Memorial Lecture featuring IndyCar Safety Director Mike Yates reflecting on his distinguished career in motorsports safety and rescue. Scientific Session Four presented a panel discussion on oculomotor, vestibular, reaction time (OVRT) testing and David Ferguson and Julia Daly completed the afternoon program with lectures on the physical response to driving a race car and concussion considerations in returning to competitive driving, respectively. Friday morning, the RTSP began with a motor coach ride to a motorsport and automotive equipment testing complex North of downtown Indianapolis where on arrival the speakers delivered updates on the transition from street medics to the track, new car technology on race tracks, hemorrhage control and airway management of an entrapped driver and the unique medical needs of stadium truck competitors. Lunch followed with our guest speaker featuring IndyCar's Charlie Kimball discussing his management of diabetes as a racecar driver. The Practical Training sessions in the afternoon included hands-on participation utilizing the most efficient equipment available today, rollover and extrication procedures and 'live' fire suppression practice with the latest materials and tools. Another highlight of the afternoon was the popular safety team demonstration delivered by the industry's best motorsports response team personnel. The 28th Annual Congress was one of the most attended conferences in the history of the ICMS. This year included an expanded version of the Race Track Safety Program (RTSP). The first Scientific Session addressed the concerns of concussion assessment, diagnosis and management by three of the leading physicians in the field and a distinctive program of software systems with crash prediction capabilities for both cars and motorcycles. The afternoon session covered physiological topics including electric hazards in motorsports, spinal motion during driver extrication, the value of explosive Olympic weightlifting and hydration and thermoregulatory responses in drivers during competition. Thursday's program began with the PRI Breakfast featuring Indy Car Legend Rick Mears and NASCAR superstar Jeff Gordon. Ethical considerations for motorsports physicians was the opening lecture followed by an overview of the James Hinchcliffe accident at the Speedway and the response of the Indianapolis safety and medical teams that handled the case. The Dan Marisi Memorial Lecture emphasized 'circadian shifting' used in motorsport during international travel and 24-hour events. Scientific Session Four presented a unique and cutting edge system outlining the benefits of digital fire simulation in motorsports followed by three separate discussions regarding the current status of motor sport medicine around the world. On Friday, the extended RTSP began with the informative didactic series directed to first responders from racing facilities of all sizes throughout North America. Lunch with our guest speaker, Indy Car Driver James Hinchcliffe, was introduced as part of the expanded program and was extremely well received by the attendees. The Practical Training sessions in the afternoon included "hands-on" participation utilizing the latest tools available to the team members who respond to race track incidents. The finale was once again, the popular safety team demonstrations delivered by the industry's best motorsports response teams. 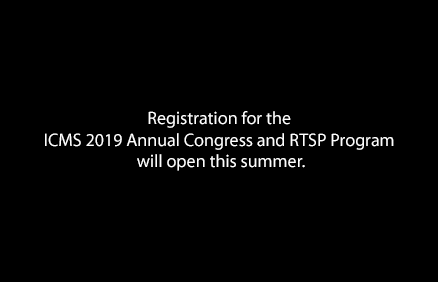 The 27th Annual Congress will be remembered in part for the addition of the comprehensive Race Track Safety Program (RTSP). The congress opened with presentations on the engineering technologies and medical applications theme. The Dan Marisi Memorial lecture covered the rehab of persistent post concussion syndrome. Session one concluded with detailed information on how to prepare for a motorsport event. Several doctors explained what manpower and equipment is needed in the medical centers at different racing facilities and gave presentations on the changing F-1 noise levels and Google Glass computing in incident response, respectively. The PRI Breakfast featured 2012 NASCAR Cup Champion Brad Keselowski. The first ICMS lecture on the following day was on preparations for a Formula One race delivered by F-1 Race Director, Charlie Whiting. Paul Trafford and David McManus, both MD's from the UK discussed their roles on the FIA and the FIM Medical Commissions. Presentations included pit crew injury stats and recovery programs, and motion sickness in rally co-drivers and navigators. Topics also included: the study of brain activity during driving with distractions, neck injury patterns in motocross, and research of the physiological analysis of specific aspects of motorsports. On Friday, the didactic portion of the new RTSP began with a description of the correct personal protection equipment, followed by an address on track safety and crew training programs. A presentation included the mechanics of safety response and an overview of track fire suppression. The hands-on practical training sessions covered helmet/head restraint removal techniques, spinal control during extrication and hydraulic cutting of roll cages. 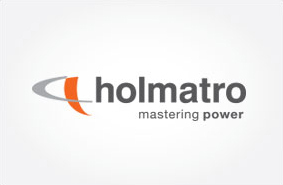 The Race Track Safety Team Demonstrations reviewed correct incident response to an open wheel race car by the Holmatro IndyCar Safety Team and to a stock car by the Canadian Motorsports Response Team. The focus of the Annual Congress was on many current motor racing safety themes beginning with a study of heat challenges in motorsports and followed by work on race track noise levels. The rehabilitation of a driver after injury was discussed along with the assessment of head injury using EEG. Unique considerations of responding to electric race car incidents was presented along with the mobility of physicians covering racing events. Drug testing procedures in motorsports was a very interesting panel discussion by a group of track and sanctioning medical directors to close out the first day of meetings. At the PRI Grand Opening Breakfast speakers discussed cervical cord neuropraxia and informed the audience of the new considerations in catch fencing at race facilities. A group of noted medical and safety directors reported on the FIA Rescue/Extrication Training Program that was recently held at Le Mans, France. The event concluded with a discussion on the transfer of technology and best medical practices between two and four wheel motorsports. 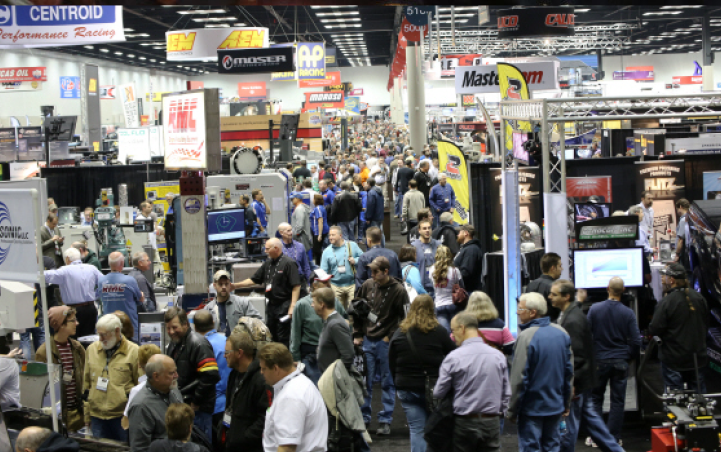 The ICMS returned to Indiana following the merger of PRI Show and the IMIS. Concussion was once again a major theme with several lectures and The History of Motor Sport Medicine and Science in Racing Safety was discussed. In session two, lecturers reviewed the SAE Papers: Safety Considerations in NASCAR. This year's PRI Grand Opening Breakfast featured "The King" Richard Petty along with Dave Despain. Session three opened with the recent developments in offshore powerboat racing safety and incident response and medical services in the NHRA and European drag racing. The afternoon sessions revolved around motorcycles with a discussion on the medical commission and safety programs of the FIM and utilized by MotoGP. This section's panel discussion was on Integrated Medical & Safety Education Programs in Motorsport presented by several medical professionals. Following the purchase of PRI by SEMA, Vice President John Kilroy made it clear to the ICMS that we are strategic partners and have their full support of our safety and human performance mission. The morning session highlighted the history of the auto racing helmet, what is a safe helmet, TBI in young motocross riders, cognitive assessment and current guidelines for return to competition. The afternoon session continued this theme with a presentation on Head Injury and the Rehabilitation Program in the NFL and a representative for the FIA Institute, discussed their studies in helmet removal. The second day of the AGM contained individual lectures and panel discussions on emergency response racing accidents and driver extrication. The conference started with a themed “Head and Spinal Injury” with excellent presentations including spinal cord injuries and the biomechanics of TBI and guidelines for return to competition. 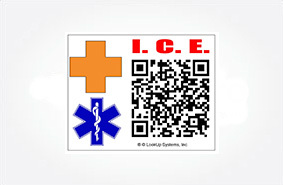 Recording and Debriefing of Critical Incidents with subjects as critical incident debriefing, medical incident reporting in NASCAR, Formula One and the IRL, barriers to shared incident reporting, and challenges in medical coverage at new venues. Session three was themed “Fire in Motorsports” with discussion on the different types of fire, trackside fire fighting, special considerations in fire protective clothing, and clothing for drivers and track personnel. This theme continued with on-site emergency treatment of burns and the treatment and staging of burns in the track medical center. The symposium concluded with an in-depth panel discussion on dissemination of knowledge and experience from major to lesser events. 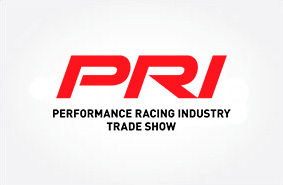 This was a preeminent year for the ICMS as the Board of Directors and the membership had accepted an invitation from the Performance Racing Industry (PRI) Trade Show to present the Annual Congress in conjunction with the internationally renowned auto racing trade show. The morning session theme of Assessment and Management of Severe Injury with discussion on scene management of trauma in Formula One. The afternoon continued with a seminar on Current Safety Concerns in Motorsports, which included excellent lectures on barrier and debris fence research, innovations in karting and the issues with the KERS system. The Wednesday morning session themed “The Driver as an Athlete” and was continued into the afternoon with presentations of nutrition, fitness, mental training, heat stress, gender issues, and jet lag. Following the opening comments the theme of the first session was heat, carbon monoxide issues in motor racing, and the rescue and extrication from nitro fuel funny cars. The afternoon session continued with a presentation on data collection, methods and results from their surveillance system and motorsport trauma – what the receiving trauma center wants to know. The last day, lectures included otologic and ophthalmologic issues in motorsport and mass casualties-principles of management presentation. The afternoon was filled with notable panel discussions on educational and medical training issues in motor sport. The ICMS Annual Congress returned to its origins for the 2007 meeting and began with a "Welcome to Indy Reception". The first session focused on Solutions for Integrated Trauma Care Learned on the Battlefield, which The afternoon session covered topics such as ATLS as it applies to motorsports, fitness and the driver athlete and alternatives to the HANS device. The sessions on the next day focused on crash and in-car protection and discussions on mild TBI and updates on ear accelerometers. Finally, a presentation was given on "Youth Helmet Fait Acompli" and a panel discussion by the experts on new directions for motor sport safety was held. The 2006 Annual Congress was jointly hosted by the FIA Institute for Motor Sport Safety and the ICMS. Following a private service with Pope Benedict XVI and a tour of the Vatican, Father Phil hosted a "Welcome to Rome Reception”. The scientific sessions began with an overview of the work done by the FIA Institute and the F-1 medical training initiative. The sessions continued covering multiple vehicle safety and debris fence and impact barrier implications. The final sessions consisted of presentations by faculty from both the FIA and ICMS. Concussion and other forms of head injury were discussed in great detail during a number of the presentations at this meeting. Drivers Bruno Junqueira and Tony Kanaan discussed what drivers would like to see accomplished in medical care and safety. Protecting the driver in the cockpit was a major presentation on the second day of the conference. The politics of motorsports was an interesting lecture and provoked a great deal of follow up commentary. Presentations continued with how a promoter looks at safety and on how the role OSHA will play in the future of motorsports. Medical professionals informed the audience of nursing issues in motorsports and an interesting lecture on the allocation of rescue teams in racing was given. This joint meeting of both ICMS and FIA delegates from around the world began with an overview of developments from the FIA Research Group and accident reports and ADR Data from both F-1 and F3000 in 2002-2003. Development of the ear accelerometer was discussed as well as presentations on high-speed barriers, debris fencing and wheel restraint systems. Additional information was presented regarding helmet and head surround development, occupant protection and crash testing during the third session. Scientific Session Four's key points involved safety reports, updates and panel discussions on boat racing, sports cars and the HANS device. The Key Note Address "The History of Motorsport Safety" was delivered by a true pioneer in racing safety, Bill Simpson. The topics of the scientific sessions began with the medical and safety programs in off road racing and motorboat racing in the UHRA and in AMA Motocross and Supercross. Updates on harness configurations and head and neck support devices were prevalent. Other unique lectures included how to respond to a death at the track, critical incident stress debriefing, rationale for drug testing, insurance as it pertains to the racing physician, and a panel discussion of ethics in motorsports. The Annual Congress concluded with a presentation on the work being done by the American College of Sports Medicine Motorsports Committee and its Motorsport Task Force that was formed after the Dale Earnhardt accident in 2001. This joint meeting hosting both ICMS and FIA delegates began with a presentation on the use of the extractable seat during its first year of use in Formula One. The conference continued with presentations on the application of open wheel safety principals to stock car racing safety excellence from the European prospective. 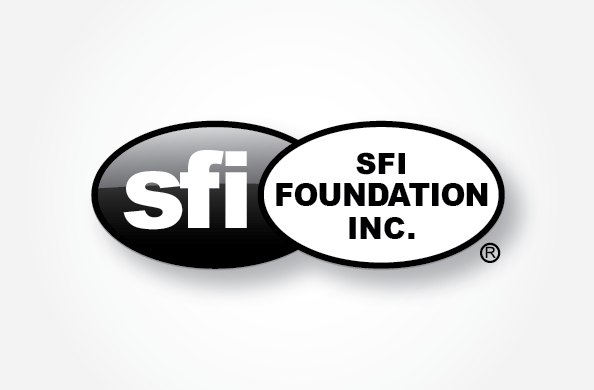 Other topics included materials and safety design innovations and numerous subjects including updates on equipment and specific procedure testing. The Annual Congress began with a tour of the track and a "Welcome to Daytona Reception" at the Daytona International Speedway hosted by NASCAR. The morning sessions opened with updates and presentations regarding the HANS Device. The scientific segments were packed with vital information from experts in numerous fields and feedback from the audience. The presentations on Saturday morning concentrated on neuropsychological assessment and spinal injury and treatment. This was “A World Wide Event” and the first safety and research symposium jointly hosted by the FIA and the ICMS. This forum was made possible through the determined efforts of Professor Sid Watkins, President of the FIA Safety and Medical Commission and Hugh Scully, M.D., Chairman of the ICMS. Max Mosley, President of the Federation Internationale de L'Automobile (FIA) delivered the Opening Address and then introduced Professor Watkins who would be the FIA Sessions Moderator. In turn, Doctor Watkins introduced his colleague, Doctor Scully as the Sessions Moderator for the ICMS portion of the conference. The Annual Congress began with a tour and welcome event at the Phoenix International Raceway (PIR). The scientific presentations began with driver's seat design and construction being a main topic of the session. Sessions also included discussions on the physiological challenges for drivers in the open wheel categories and the unique approach to safety and rescue procedures in powerboat racing. The last day was devoted to multiple drag racing topics of significant interest as 1/4 mile venues make up a large segment of North American race venues. The ICMS business and board of directors also held their meetings. Head and neck protection and medical/surgical procedures pertinent to motor racing were the key issues of this meeting. New helmet technology, helmet removal and new theories in driver's seat construction was covered, as well as spinal injuries in high velocity sports and a presentation on the anatomy of a Coroner's investigation applicable to motorsports. A representative from the FIA Medical Commission outlined the organization of medical and safety services in Mexico, and the Annual Congress concluded with a discussion on drivers' training, care and special devices of the BMW motorsport medical branch. The festivities began with a welcome reception for the Annual Congress attendees held in the Ontario Provincial Parliament Building in Queen's Park. The meeting began with a formal welcome on behalf of ASN Canada and reflections from the FIA Safety Commission. Presentations included a medical overview of The initial Year...The Indy Racing League and the medical principals from CART gave the Championship Auto Racing Teams Perspective. The Driver's Perspective and The Sponsor's Perspective were delivered. Development in barrier design was again a popular topic, as well as the preparation for race medical and rescue services presented by the Ontario Race Physicians group. "Common Ground: The Highway Meets the Speedway" was the program theme of this year's AGM. As of this Annual Congress the ICMS reported 150 members from 11 countries involved in many different motorsports disciplines. This symposium's focus was on applying the experience and studies on high velocity sports to safety and emergency strategies in passenger vehicles. The Keynote Address was delivered by two-time Indy 500 winner and two-time World Driving Champion, Emerson Fittipaldi and Darrell Gwenn, a previous Drag Racing Champion and current team owner. Antonio Dal Monte, M.D. of the Sport Science Institute in Rome, presented the work he and others had done on "Impact Barrier Design and Improvement" which resulted on the design and manufacture of safer barriers seen at major racing facilities worldwide today. This was the first ICMS Congress held in Europe and paralleled the prestigious "Salon Mondial de l'Automobile" Paris Auto Show. The AGM had four themes: ergonomics, biomechanics, vigilance and bioenergetics sessions and workshops on nutrition and driving performance. The symposium was divided into secondary and primary sessions that were quite diverse in content, as were the presenters who represented many European and North American countries. This Congress was jointly sponsored by NASA and the University of Texas Medical Branch. The symposium was designed to improve safety, performance, and emergency support in motorsport. Topics included crash protection technology, protective equipment, driver performance factors, initial management of trauma including extrication, airway, and burns, health care for major crowd events and race course design. Participants had the opportunity visit to the Johnson Space Center, including Mission Control and attend an event with Keynote Speaker, Astronaut Jim Bagian. The meeting concluded with scientific sessions and a course review. As of this Annual Congress, the ICMS has grown in all membership categories to a total of 109 members. The Congress title was “Current Concepts in Motorsport Research and Safety Aspects of Motorsport Events” and included lectures on power boat racing case studies, interaction between local and traveling medical teams and physiological effects of different forces and characteristics of motor sports. This was the first time many of the AGM attendees had been exposed to the ultimate machines in power boat racing and most agreed this is a unique sport with extraordinary safety requirements and specific medical demands. This program including tours of race track facilities and enjoying the full race schedule at Charlotte Motor Speedway following the AGM. The agenda for the ICMS meeting included the presentation of scientific papers on the physiology of motor racing, injury reduction devices, biomechanics of crash injury prevention and the statistical analysis of racing accidents. Task Force topics such as basic driver disqualifications, cardiovascular parameters, psychophysiologic concerns and other subjects were discussed. During this year ICMS membership had grown to over 90 medical, scientific and educational professionals. Continuing Medical Education (CME) credits were first offered to attendees at this meeting. This marked the first International Annual Congress, hosted by the Motor Sport Research Group at McGill University. The Congress was held in conjunction with the FIA Formula 1 World Championship Grand Prix du Canada in Montreal. The theme of the Congress was Integrated Research in Motorsport and current scientific, medical and engineering issues were discussed This was the first joint Congress with members from both the World Council of Motorsport Sciences and the medical commission of the Federation Internationale de l'Automobile. The name of the Council was changed to International Council of Motorsport Sciences. Actor/Racer Paul Newman provided a $10,000 grant to MSU to further develop the HANS Device for handicapped children. Currently he and HANS co-founder Jim Downing are the only two drivers in the world using the device in their race cars. The conference title was the Initial Management of Catastrophic Athletic Injuries. The schedule included such topics as head injury, extremity fractures and maxillofacial injuries in motorsports, and accident investigation and medical management at major racing events. 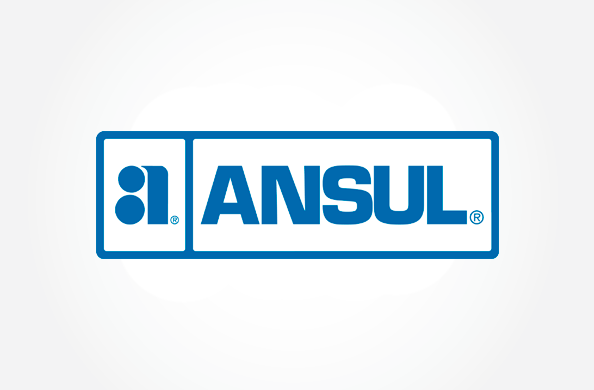 Over the past year, membership had grown to 78 total members with six Affiliated Sponsors and the first logo of the Council was unveiled. 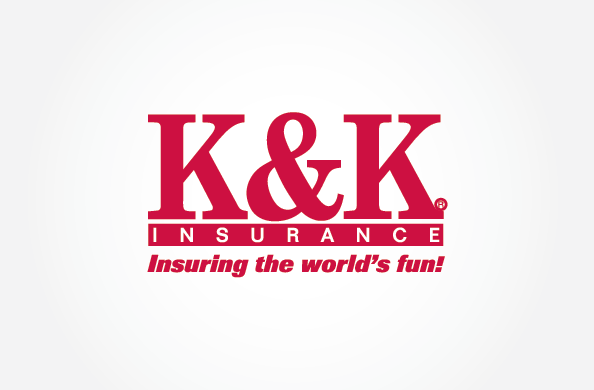 Following the 1988 meeting, the articles of incorporation were approved and the organization was certified as a 501(c) not-for-profit corporation in the State of Indiana. On May 25, 1988 a group of medical, scientific and educational professionals conducted the First World Congress on Motor Sports Medicine. The objective of this meeting was to form an organization whose goal is was to bring together individuals interested, through dedication, experience and research, in the advancement of medicine as practiced in the field of motor sports. Program topics included applied psychology, environmental influences and physiological variables of motor sports. Sessions also involved the structuring of the organization and summaries of the planning committees. The inaugural meeting included 32 Active, 1 Associate and 2 Affiliated Association (sponsor) members of which many, including founding members, are still involved with the organization today. Motor racing is a very physically and mentally demanding sport. I have been involved with a number of doctors and physio-therapist in my career and those who provided me the best information are involved with your organization (the International Council of Motorsport Sciences).